Buck Algonquin has built successful relationships with many companies in the boating industry, from leading yacht builders to small local distributors. Over its 60-year history, they've built a solid reputation thanks to their talented engineers, attention to detail and unparalleled customer service. Buck Algonquin offers a full line of bronze and stainless steel hardware for the deck and below the waterline. Their product line includes steering systems, running gear, cleats, thru hulls, and plumbing fittings. They also offer custom casting and marine propeller shafting. The Buck Algonquin marine products we carry focus primarily on these categories: Hoses & Clamps, Exhaust Fittings, Shafting & Accessories, Thru Hulls, Strainers and Plumbing Fittings. But, we can order any part you need. 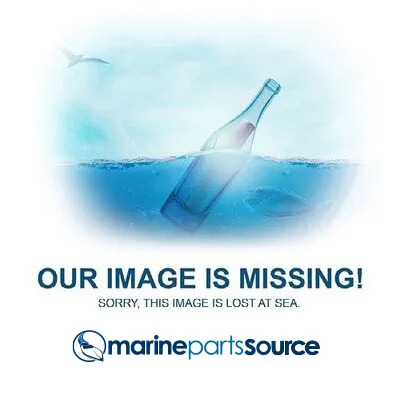 We are proud to stock and ship over 1,000 Buck Algonquin marine parts, such as bronze ball-type seacocks, bronze low-profile ball valves, bronze intake strainer thru hulls, bronze raw water strainers, bronze spud-type packing boxes, bronze gland-type packing boxes, packing box hoses & wrenches, transom exhaust thru hulls, stainless steel t-bolt clamps, bronze pipe-to-hose adapters, bronze elbows & couplings, propeller shaft kits, shaft keystocks, prop knockers, solid & split hub couplers, bronze rudder ports, bronze threaded and hose barb end thru hulls, thru hull step wrenches, and more. If you don’t see the item you needed listed above, give us a call. This above represents only a partial listing of Buck Algonquin marine parts. To learn more about Buck Algonquin, visit their website or like them on Facebook.